Minimum wage bill submitted to the Russian parliament | Russian Legal Information Agency (RAPSI). Moscow, April 21 - RAPSI. The Russian government has submitted to the lower house of the Russian parliament (State Duma) a draft law on increasing the minimum wage by 6.5 percent to 4,611 rubles from June 1, Speaker Boris Gryslov said on Thursday. 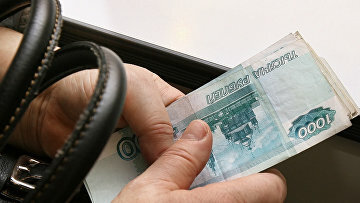 The minimum wage has been 4,330 rubles since Jan. 1, 2009. The government’s concept is to gradually bring the minimum wage closer to the subsistence level. Another objective is to raise salaries for public sector workers and other categories of people. The minimum wage has increased 32 times in the past 10 years. 14:00 21/04/2011 The Russian government has submitted to the lower house of the Russian parliament (State Duma) a draft law on increasing the minimum wage by 6.5 percent to 4,611 rubles from June 1, Speaker Boris Gryslov said on Thursday.